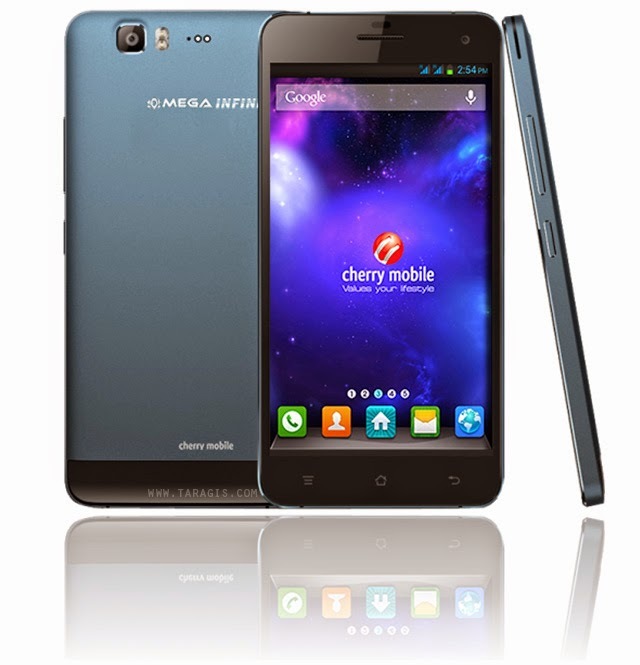 The country's leader in smartphone ownership, Cherry Mobile, drops another flagship phablet. 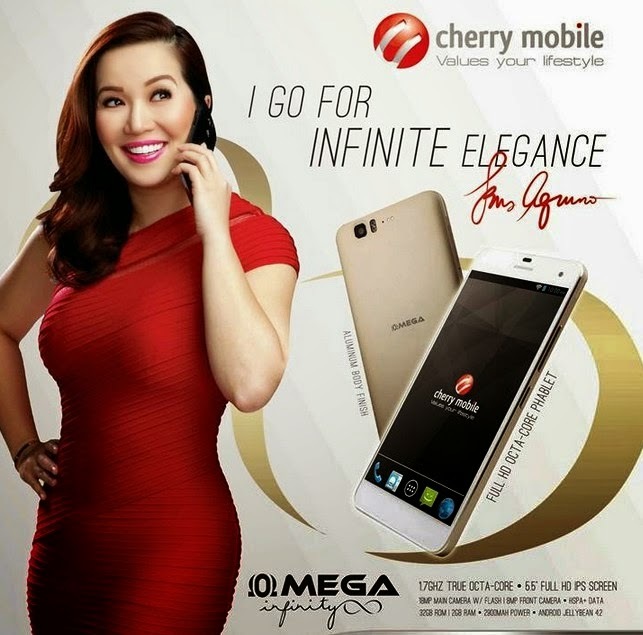 And being an aggressor in mobile marketing, the local brand taps the help of no other than the Queen of All Media, Kris Aquino for the CM Omega Phablet Series. Cherry Mobile, now, is hard at work in making an essential gap between its tablets and smartphone devices. It has defined the Phablet as the "go to" device for those who are in the market for a bigger handheld device that could fit right in everyone's pocket. And the Cherry Mobile Omega Infinity is the first beast that has been out of the box. Specs-wise, the new Cherry Mobile Omega Infinity is loaded with some serious guts. The powerful 1.7-gigahertz octa-core MediaTek MT6589 processor will obviously chew anything thrown at it without a hiccup. Likewise, the beefy 2-gigabyte of RAM will offer a nifty multitasking affair to your apps. Though it doesn't have an expandable option, active downloaders will have a hefty 32-gigabyte on-board memory. The display itself is stunning. The 5.5-inch screen real-estate packs a 1080p full HD IPS display with 401 ppi. It is also treated with a scratch-resistant Corning Gorilla Glass 2 to withstand that unwanted stress-bumps. In terms of design, Omega Infinity's build is a premium-like metal finish that is available in different hues - Gold, Silver and Black. Cherry Mobile gives us a treat when it comes to our camera needs. The CM Omega Infinity's shooter will sport an 18-megapixels rear sensor and an 8-megapixel secondary camera. The main camera will be accompanied by a dual-LED flash and better autofocus function. Other features include the dual-SIM capability, a whole set of radios (Bluetooth 4.0, HSPA+, WiFi and WiFi Hotspot), and USB-OTG connectivity. This beast's battery is rated at 2,900 mAh. Though it's non-removable, it could sum up a very reasonable "away-from-charging" time. The Cherry Mobile Omega Infinity is priced at Php 14,999. Technically, the device is the most appealing Cherry phone to date, or should we say the most appealing locally-branded phone.